Ornamental and wrought iron enable you to take your home, commercial or property fencing to the next level. Iron fences and gates are considered the next level up in beauty , strength, and durability for those people who want more than “just a fence”. An iron fence and gate create a more elegant and formal look, especially when the fence is enhancing the front entrance for a large property or estate. But a wrought iron or ornamental iron fence can add more than beauty and elegance. It can also be used to comply with building codes and CCRs regarding a variety of safety requirements, including swimming pools (CA Building Code ch31b). An iron fence and gate provides the protection and safety required, all while enabling people to enjoy the beauty of their natural surroundings. We can work with you to design a wood fence customized to your tastes, or provide you with one of our most commonly installed iron fence designs. 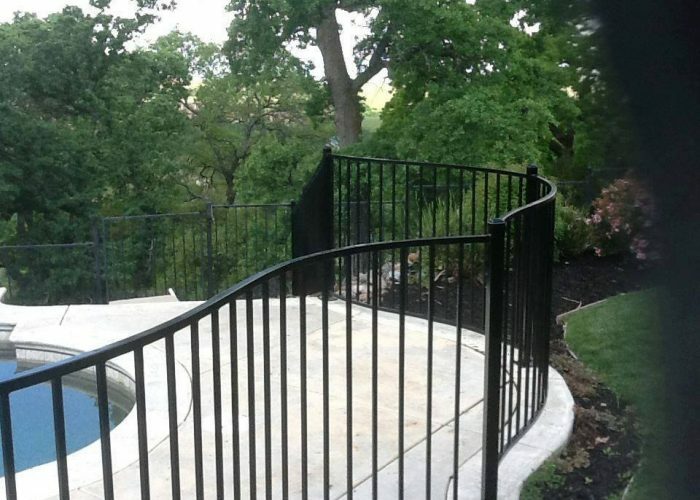 A wrought iron fence is an excellent choice when security is an issue, but want to preserve your view. 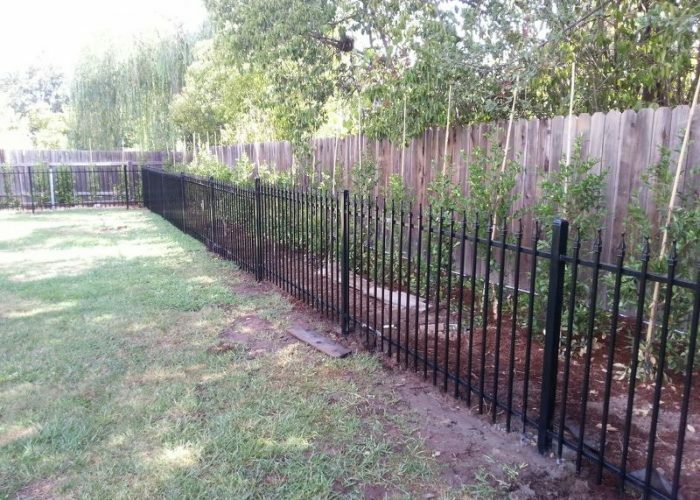 They are also ideal for backyard fencing, pool fencing, acreage/large property fencing, commercial, courtyard fencing, and as a fence for your dog run. What is also important is to ensure the fence and gate you select have the style you feel will best compliment your property and view. There are a number of decorative styles and options available when considering a wrought iron fence and gate, including regal style, smooth top rail, and pointed top, as well as commercial grade and handrails. We can custom design your iron fence and gate, or provide you with one of several standard fence options that are popular. 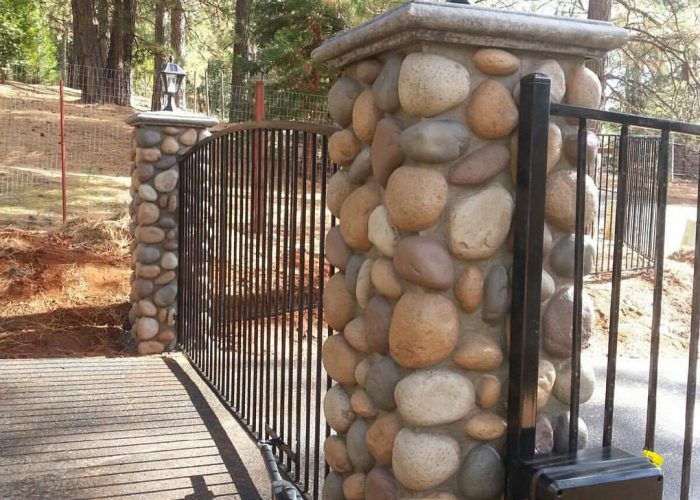 We also provide custom made ornamental iron. Our team can produce a wide variety of options that will add beauty to your home or property, including window grills, hand rails, decorative monograms and fence tops. Gates are a doorway to your private living space. Because they will experience heavy use, they should be build with the highest quality materials, installed to ensure they are functional and long lasting, and also be aesthetically pleasing and attractive. An iron gate can be an entry to a pool, courtyard, garden, a driveway entry, a commercial property roll gate, a slide gate, a security door entrance, a swing double gate, or an estate gate. 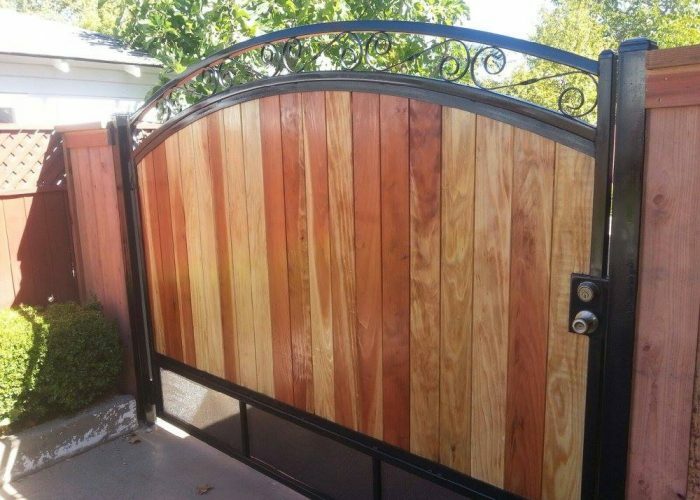 Depending on its location and the fence it is providing an opening for, there are many approaches and styles to designing and creating the perfect iron gate. We take an old school approach—we design your iron gate and build it to ensure it serves its purpose and does it with style, whether the gate includes arches and ornate curves, points and art, initials, or silhouettes. We use heavy post and over build it to ensure there is no sag. On larger gates we put our posts a minimum of three feet in the ground, rather than the standard two feet. We take into account soil conditions when determining depth of posts. and have gone as deep as 4 1/2 feet to ensure stability and structural integrity. 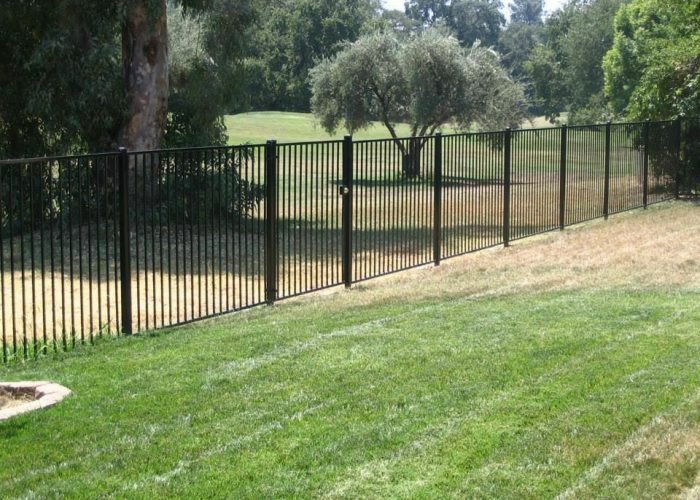 We also provide and install automatic openers, driveway gates, entrance gates, iron gates, iron fence, black iron, pool fence, ornamental iron fence and gates, courtyard gates, arched gates, sliding gates, steel frame gates, metal fences, steel posts, driveway pillars, decorative pillars, solar powered openers, intercom systems, keypad entry, and auto remote entry mechanism for the ultimate convenience and control. 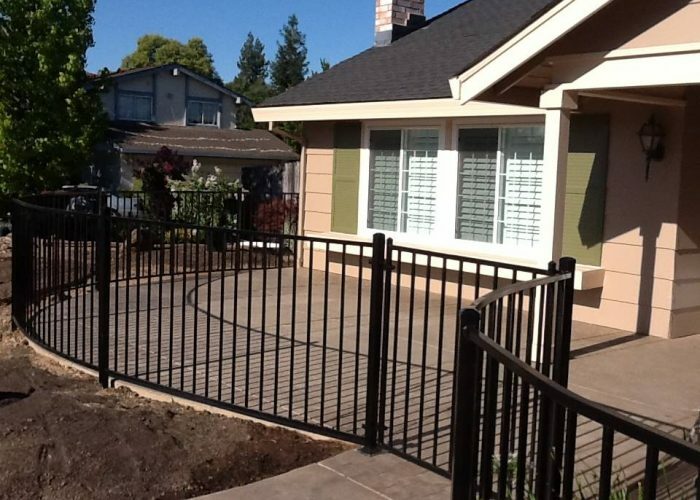 So when you are ready to install an ornamental or wrought iron fence and gate, call us at (916) 315-9405 or email us at sales@calsierrafence.com. We will meet with you at your convenience to provide a complimentary site assessment and proposal. And we will build you a high quality, gorgeous, long lasting iron fence and gate that will compliment your home and surroundings.